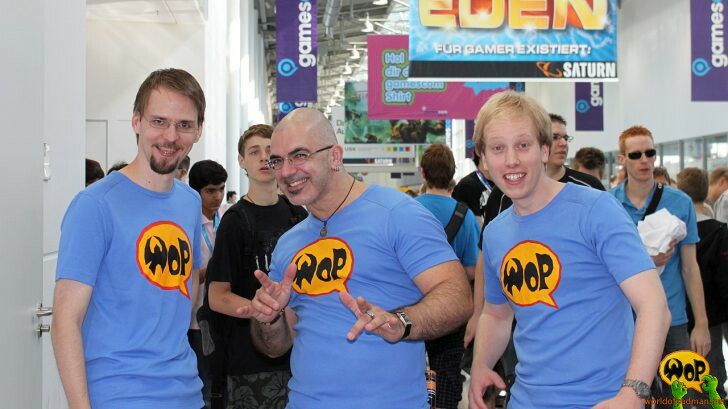 Three crazy members (watch the photo) of the WoP team met at gamescom in Cologne already in 2010. It is the largest international exhibition of video gaming in Europe. Two years later Doomdragon, ENTE and Kai-Li will meet there again on Thursday, August 16th 2012. If you want join us there, watch out for those blue shirts with the WoP icon on it. Don’t hesitate to get in contact with us. Maybe you have to search a little for us, because we are there as normal visitors. It would be nice to meet some members of the [PAD]Community and to talk a little. See you there.